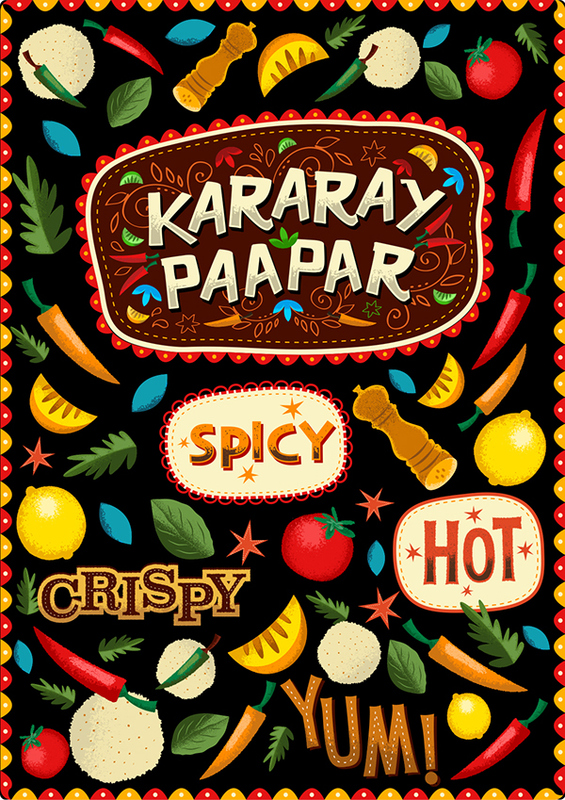 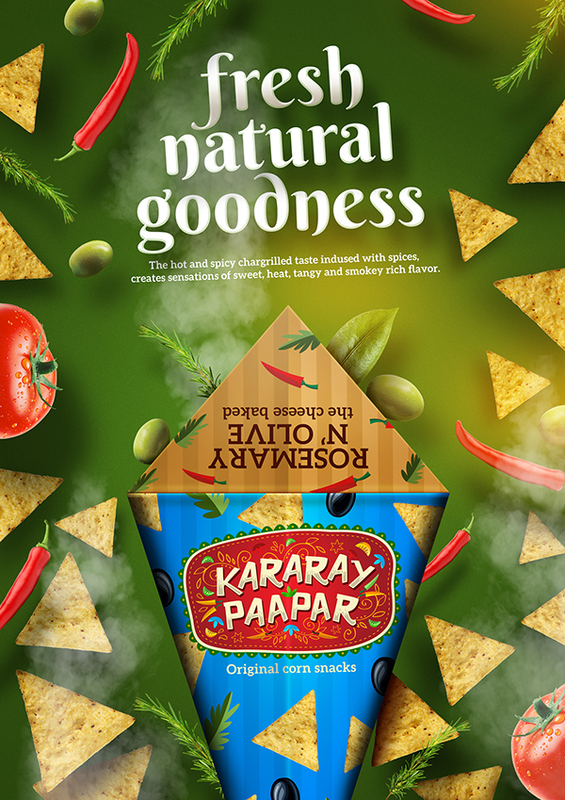 The Idea or concept of Kararay Paapar was taken from the street food 'Paapar' , Street food is ready-to-eat food or drink, sold in a street or other public place, such as a market or fair, by a hawker or vendor, often from a portable food booth, food cart or food truck. 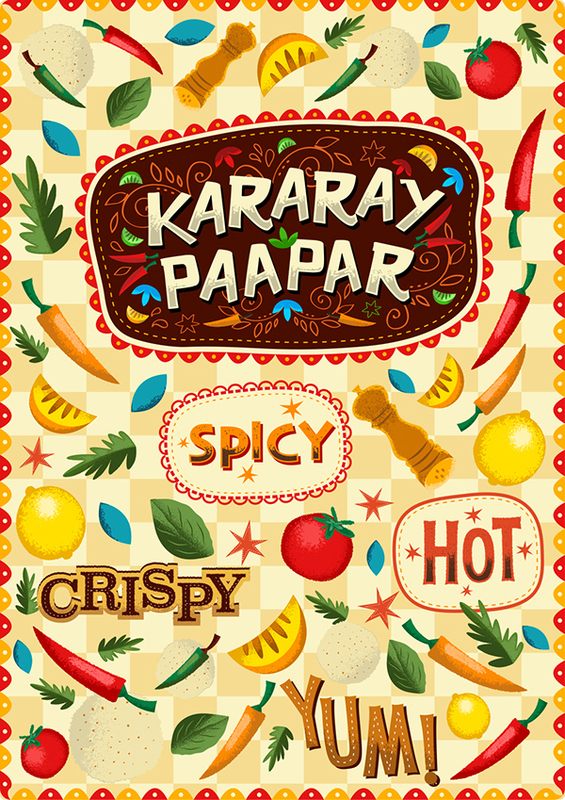 Paapars are one of the most traditional food in our history,karaary paapars are originated from paapars with variety of flavors and spices , with no artifical spice and they are not harmful. 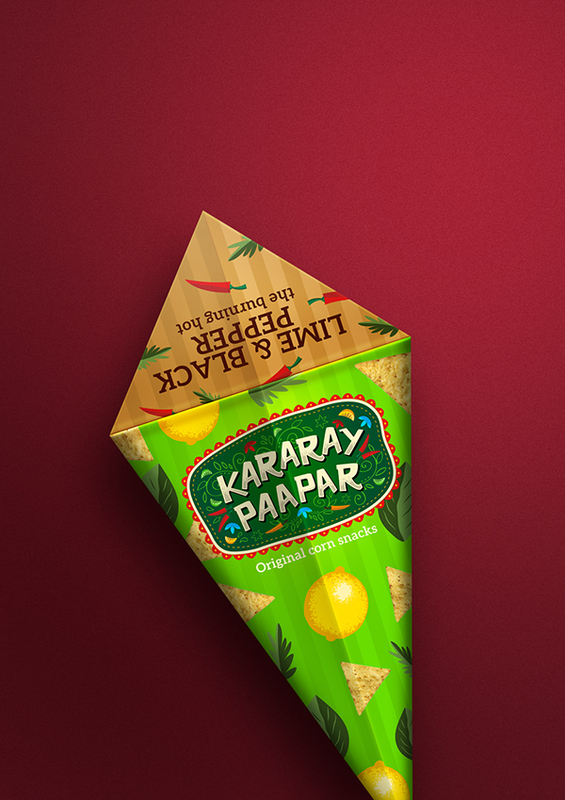 Kararay paapar is a snak food, its a small portion of food eaten between meals,before or after meals. 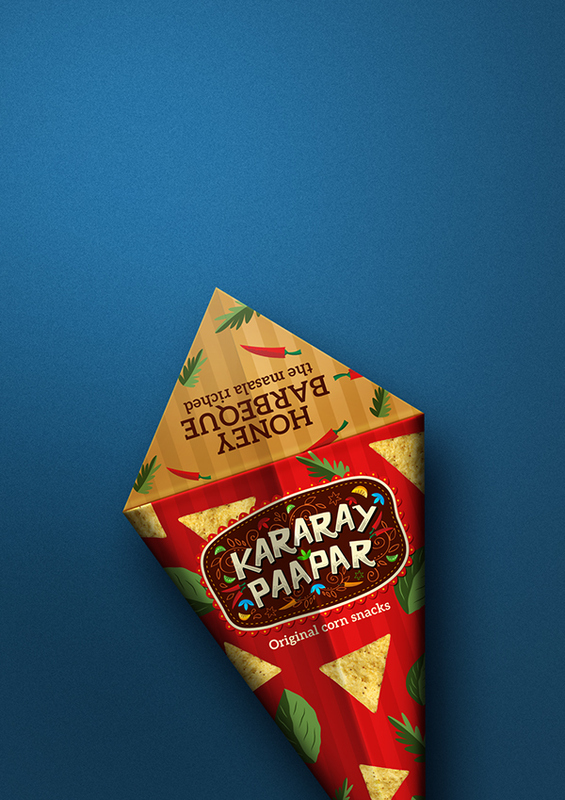 They are thin, and crispy .topped and filled with different traditional spice served in varity of flavors. 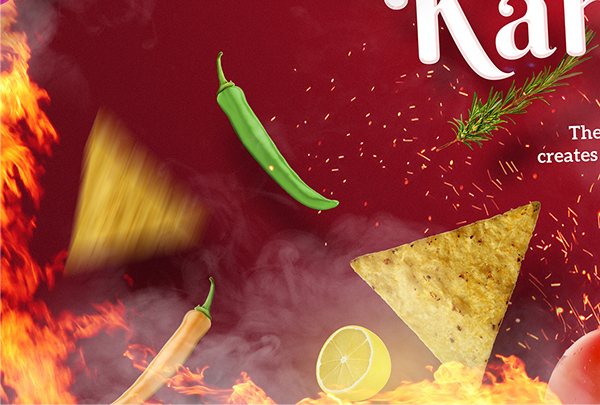 In my logo I have taken inspiration from Steve Simpson's great work. 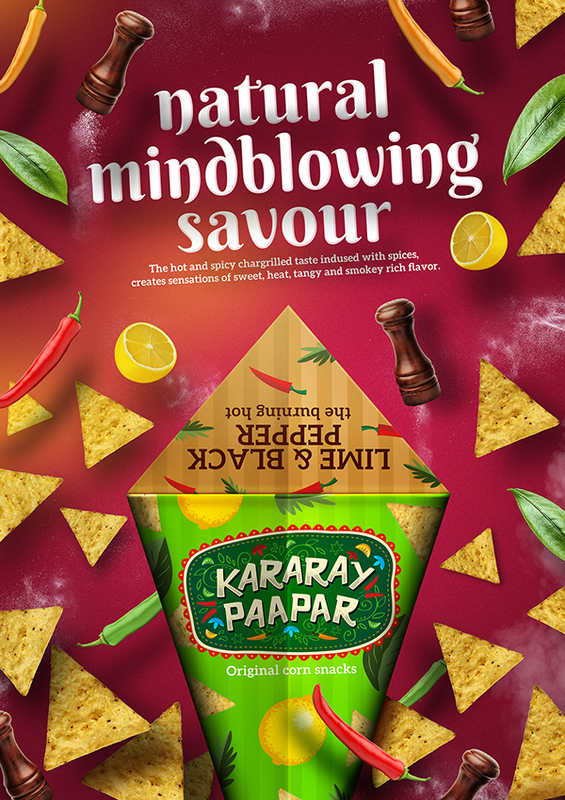 I have been admiring his work since a long time. 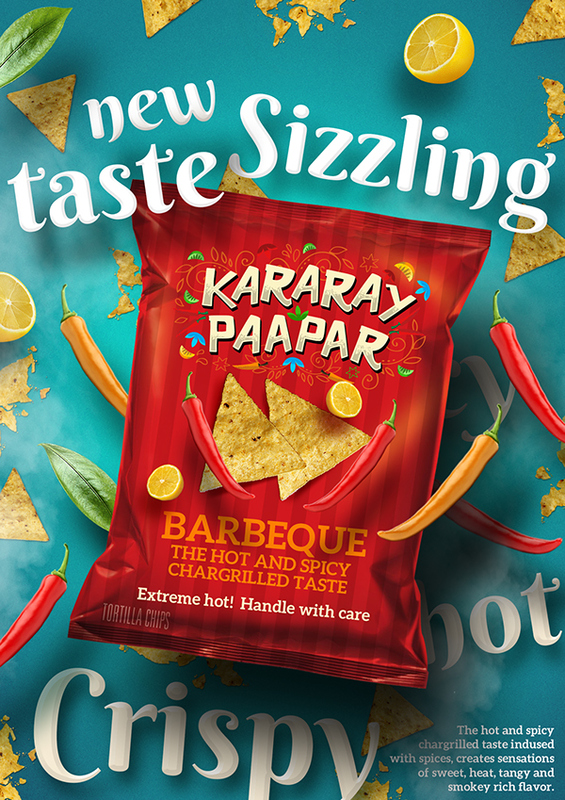 Its a non-commercial campaign which covers from logo to packaging. 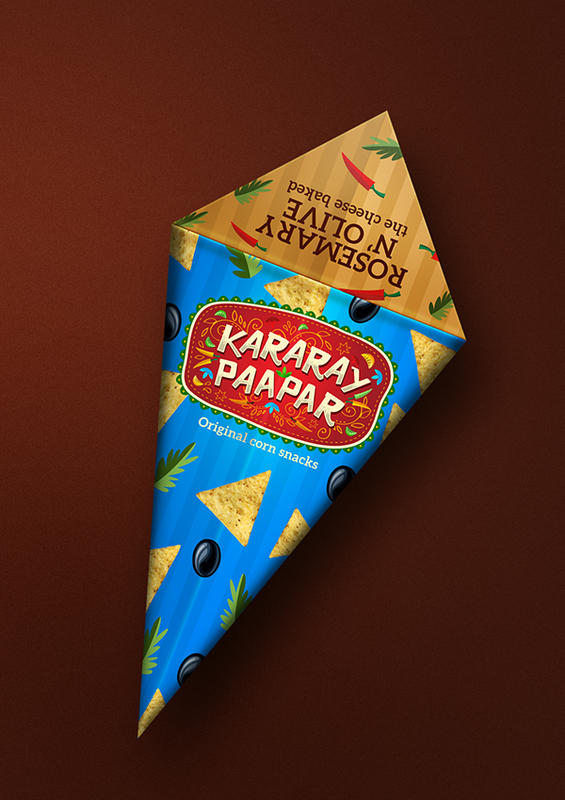 Packaging- Fresh hot Paapars will be served in this cone. 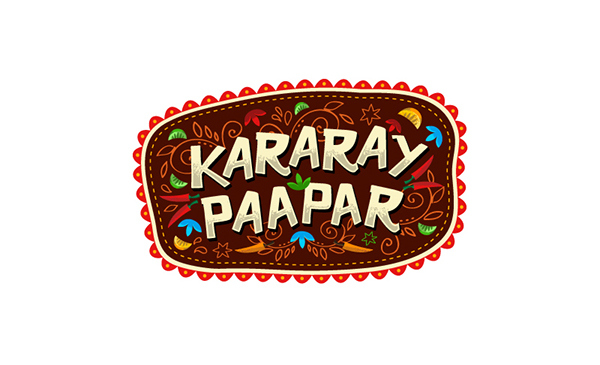 The Idea or concept of Kararay Paapar was taken from the street food 'Paapar' , Street food is ready-to-eat food or drink sold in a street or other public place, such as a market or fair, by a hawker or vendor, often from a portable food booth, food cart or food truck. 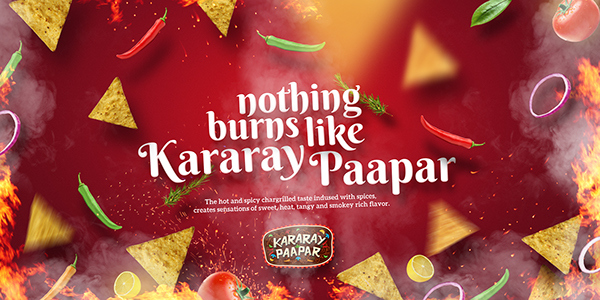 paapars are one of the most traditional food in our history,karaary paapars are originated from paapars with varity of flavors and spices , with no artifical spice and they are not harmful. kararay paapar is a snak food, its a small portion of food eaten between meals,before or after meals. 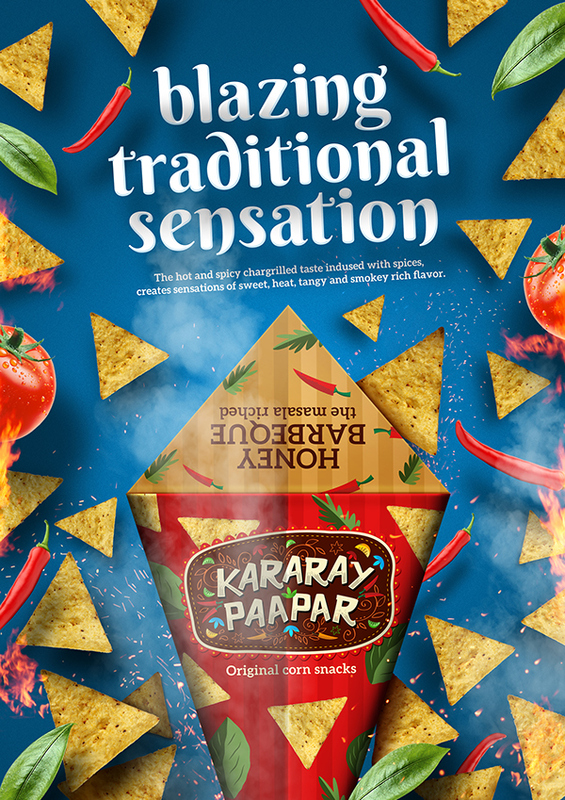 They are thin, and crispy .topped and filled with different traditional spice served in varity of flavors.